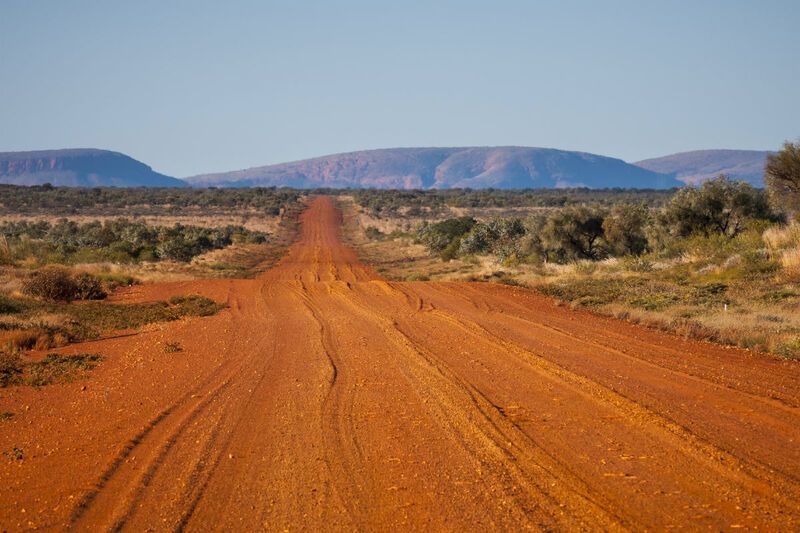 The most direct route from Perth to the Red Centre is also one of the most rewarding for travellers. In Australia’s dusty centre a remote ribbon of red dirt provides a surprisingly beautiful shortcut between tourist hotspots Kalgoorlie, WA, and Uluru, across the NT border. Stretching 1400km and occupying travellers for around four or five days, this outback route sets out from Lake Ballard, in WA’s Goldfields-Esperance region, and follows the Great Central Road across Australia’s largest desert. It weaves through a colourful landscape where camels, kangaroos and dingoes roam, the route offers overnight stops in crumbling painted canyons, near remote rock art caves or beside unlikely waterholes where Major Mitchells and budgies congregate raucously after annual rains. 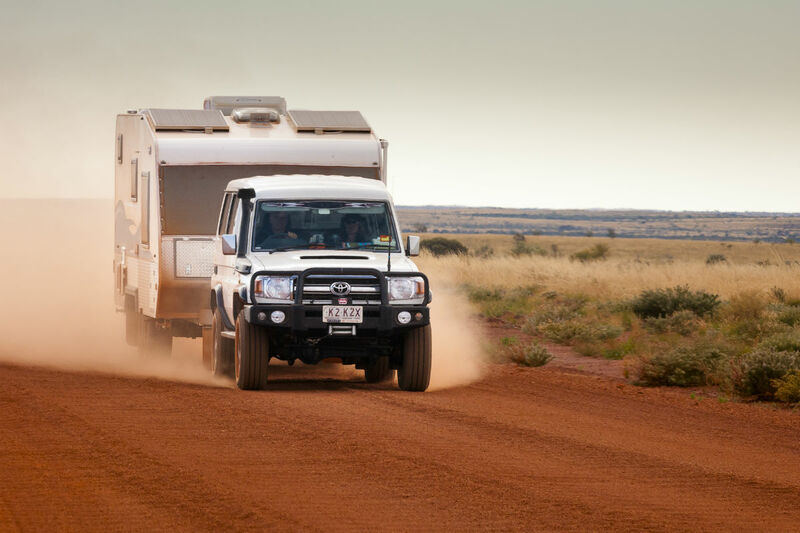 Appealing to adventurous RV travellers happy to flex their self-sufficiency muscle and experience quiet bush camping under dazzling starry skies, this route also passes a handful of roadhouses that supply fuel, power, showers and hot meals, too. So whatever your style of touring, you’re covered. Although some corrugated and dusty sections make off-road capability recommended, the route is graded regularly to allow for conventional vehicles and caravans with enough clearance to cross the occasional water-filled causeway. 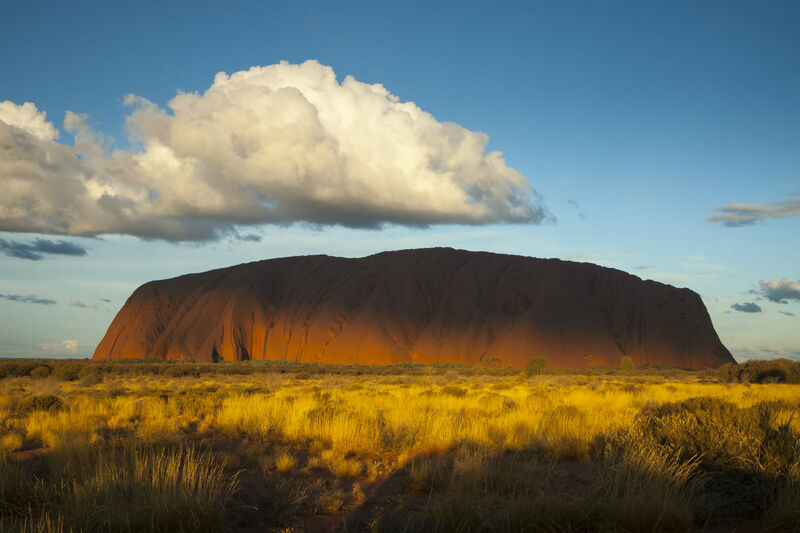 Even if you’ve ticked Uluru off your bucket-list, this excellent adventure makes a return trip truly memorable. 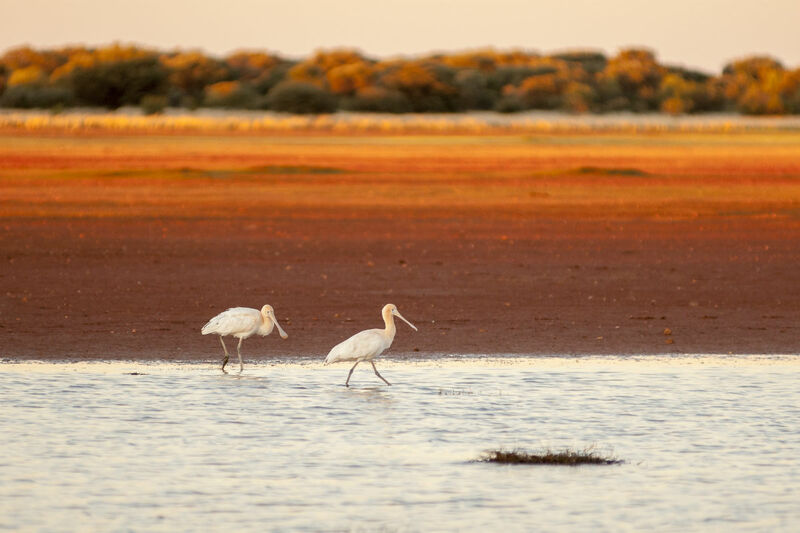 While the Great Central Road technically begins at Laverton, WA, the saltpan wilderness that surrounds the small town of Menzies is well worth including in your journey. 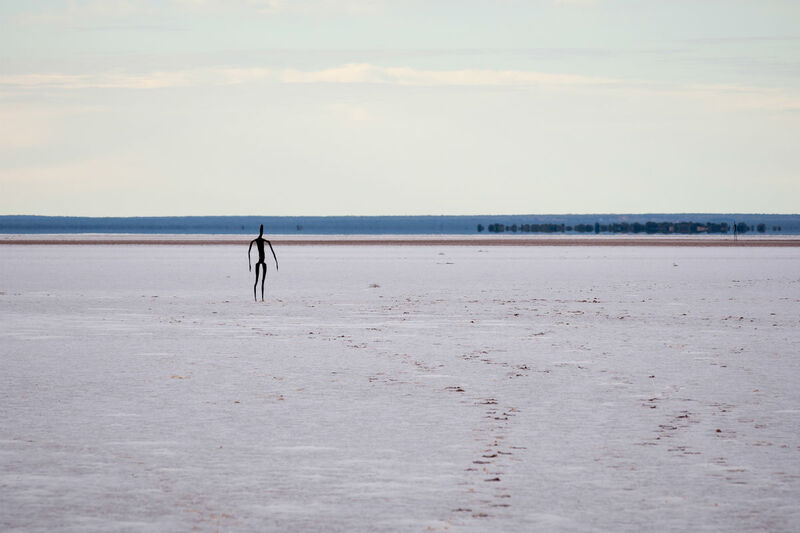 Chosen as the outdoor canvas for artist Antony Gormley’s “Inside Australia” project, Lake Ballard hosts 51 solitary, spirit-like figures based on real-life locals. Cast from stainless steel alloy, they seem to beckon wayward travellers out across shimmering white salt flats. This intriguing artwork together with the striking beauty of the lake and the wonderful free campground etched into its gypsum, mulga-fringed dunes makes Lake Ballard a destination well worth experiencing. Camping facilities are excellent, with wheelchair-accessible toilets, drinking water, picnic tables, firepits, a dump point and bins. If you stay overnight, be sure to climb one of the lake’s windblown ironstone hills to watch the sunset or rise. Lake Ballard is signposted off Goldfields Highway, 57km from Menzies where you can pick up fuel, food, water and firewood. Heading east, 10km beyond the last cheap fuel stop at Leonora, Malcolm Dam provides spacious waterfront camping and fabulous bird watching. Camping is free, dogs are permitted and there are a couple of picnic shelters, fireplaces and rubbish bins provided, too. Being deeper than surrounding waterholes, Malcolm Dam stays fuller for longer than its neighbours in the dry season making it a hotspot for black swans, grey herons and pelicans. Be sure to pack your fishing gear, because there’s also some fat bream, carp and spangled perch for the taking. It’s the last significant water source you’ll find once you leave the bitumen at Laverton and begin your journey across Australia’s largest red sand desert. 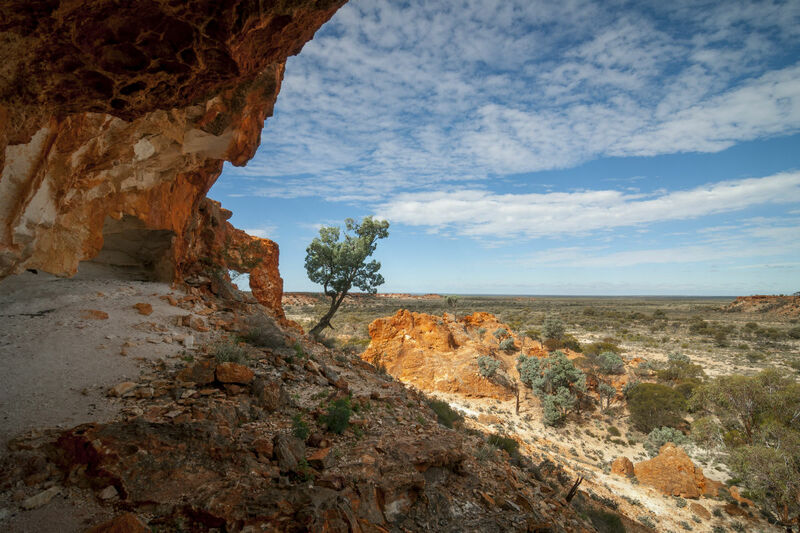 Measuring 424,400 square kilometres, the Great Victoria Desert balances its sandhills and ancient salt lakes on bedrock of Yilgarn Block – granite, gneiss and greenstone that at 2500-2900 million years old. It’s some of the oldest rock on earth. But what most ignites the imagination of a traveller out here is the beauty of the colourfully ‘painted’ breakaways that crumble on the edge of this desert plateau. These flat-topped, free-standing mesas and canyons striped with yellow and white soft clay sandstone and rusty red soil paint the desert in earthy ochre tones. 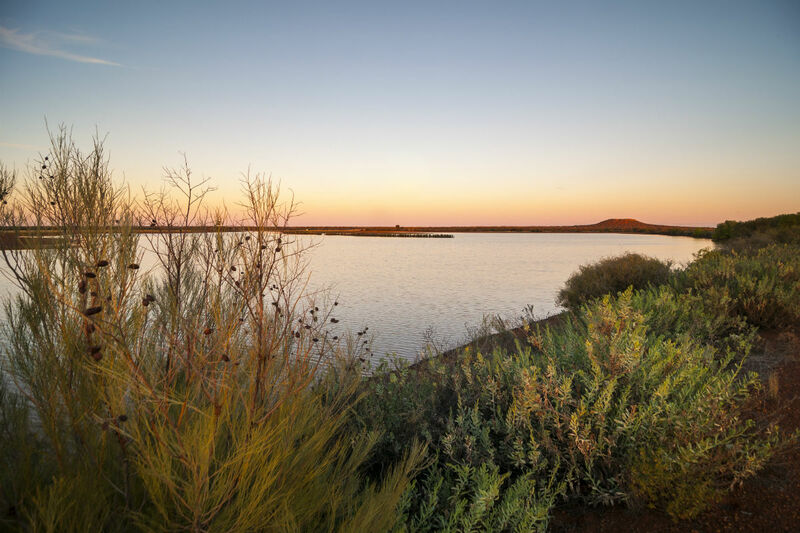 They dazzle under the shifting spectrum of a setting sun and one of the best places to enjoy them is at Giles Breakaway, a scenic rest area and camp located 56km northeast of Laverton. For signs of life in the desert, visit nearby Deba Gnamma Hole, where water gathers on rock depressions to sustain dingoes, kangaroos and vast flocks of iridescent green budgies throughout the dry season. 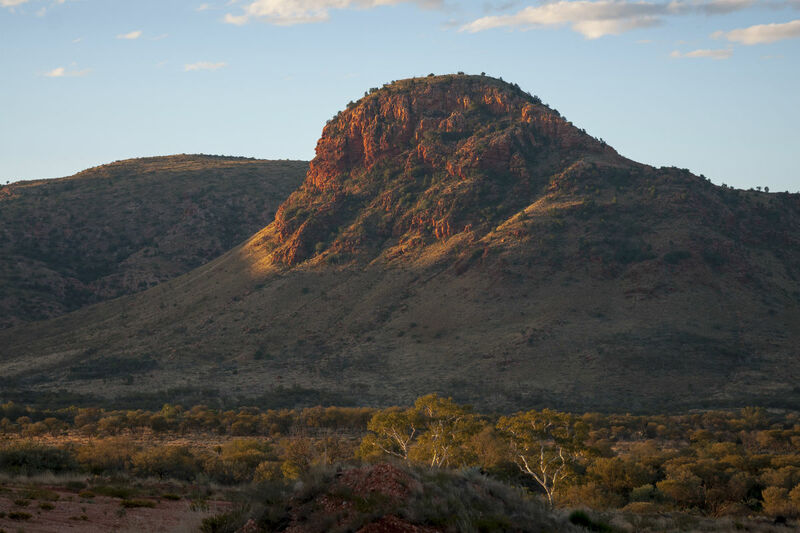 The 564km of mulga and spinifex scrub that stretch between Laverton and Warburton provide plenty of free camping opportunities for self-sufficient travellers. Choose Limestone Well or Minnie Creek Road rest areas, both located around 200km west of Tjukayirla Roadhouse, where powered and unpowered sites are available at affordable rates for those who prefer facilities. Just over an hour’s drive east of the roadhouse, there are more free rest areas at Camp Paradise and Manunda Rockhole. Past the big white hillside cross that marks the location of some rock art caves, Warburton Roadhouse provides well-priced campsites for travellers. Despite the corrugations that seem to deepen as you approach the NT border, the abruptly changing landscape makes this a popular stretch of the journey. Rising dramatically to the north and east, the rusty red peaks of the Rawlinson Range and Schwerin Mural Crescent create a dramatic spectacle at sunset. Detouring along a dirt track towards the rock, we found a flat camp at the base of Schwerin Mural Crescent, collected a mound of fallen timber and kicked back beside the campfire as an outback orchestra of dingo howls, bird calls and fire crackle warmed up the night. Except for the stealthy dingo whose footprints revealed a midnight visit, we were blissfully alone under an enormous starry sky. 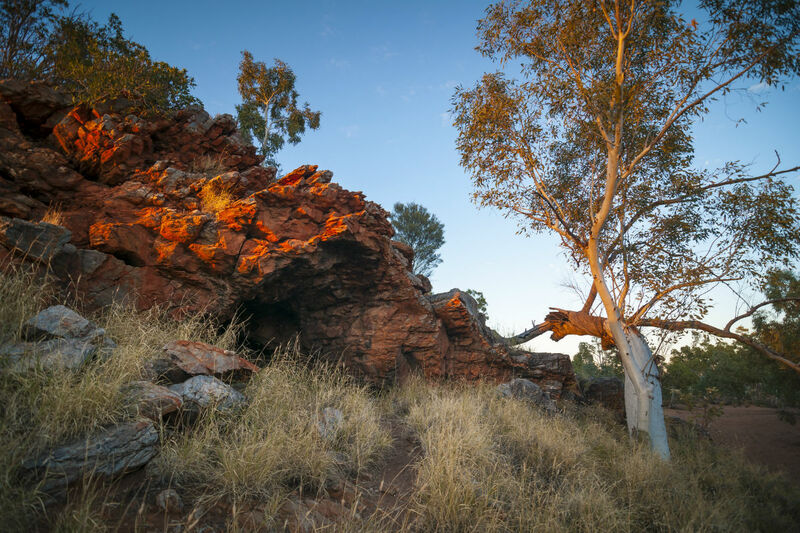 The location of Lasseter’s elusive reef of gold remains a mystery, but you’ll find the cave where this infamous character spent his final days signposted off Tjukaruru Road, 40km east of Docker River on the NT border. In January 1931 on an expedition to rediscover the enormous reef he alleged to have found back in 1897, Lasseter’s luck ran out near the Hull River. After his camels bolted leaving him stranded without food, a severely weakened Lewis Harold Bell Lasseter sheltered, starving, for about 25 days in a small riverside cave. When he finally set out to walk east to Mt Olga (Kata Tjuta), he covered just 55km before he died. There’s much speculation about whether Lasseter’s Reef ever really existed, but the story continues to ignite the imaginations of outback wanderers. Soon after Kata Tjuta appears on the horizon, the sudden quiet thrum of wheels on bitumen is as startlingly as the steady stream of squeaky-clean tourist traffic. Arrive at the park early to spend a full day walking the trails, discovering lookouts and visiting the cultural centre where you can grab lunch, cold drinks or a coffee. Highly recommended for its inspiring lookouts, The Valley of the Winds trail at Kata Tjuta weaves a breathtaking, 7km path between soaring sandstone walls and weathered red rock monoliths towering 200m above Uluru. An easier alternative is the nearby Walga Gorge Walk, which is just 2.6km. At Uluru, the easy Base Walk is a popular choice for those who prefer to stay grounded, leading to rock caves layered with art and seasonal waterholes as it circumnavigates the Rock for 9.4km. First-time visitors to Uluru-Kata Tjuta National Park will probably want to stay overnight at Yulara and spend a few days exploring, but for return travellers, Alice Springs lies a smooth, five-hour highway drive away. PERMITS Free transit permits to cross Indigenous lands are required and available online at daa.wa.gov.au for the Great Central Road and www.clc.org.au for the NT’s Tjukaruru Road. 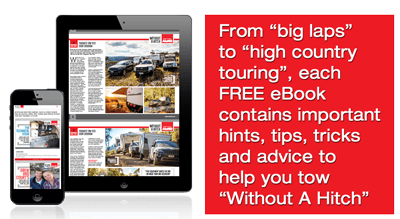 Ensure your Big Lap of Australia goes off “Without A Hitch”! Download our 20 page eBook packed full of hints and tips for completing the Big Lap here!